Why ghost & backup computer? Backing up data is one of the most important things users can do to safeguard data. In modern society, computers are widely used to store data for various activities, inevitably, ghosting and backing up computer becomes a wise action to ensure that you never lose important data when the hard disk crashes, for you never know when disaster occurs. Fortunately, it is not complicated to ghost and backup a computer with a certain tool, for example PartitionGuru; to ghost a computer you can refer to the article How To Ghost a Computer covering detailed steps, which saves you a lot of time and trouble. 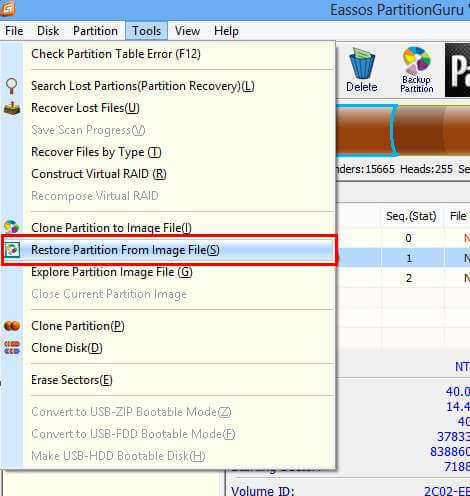 How to restore from backup with PartitionGuru? Since the tool you used to back up computer supports incremental backup, you can restore your backup to any of those time points, which brings lots of convenience. 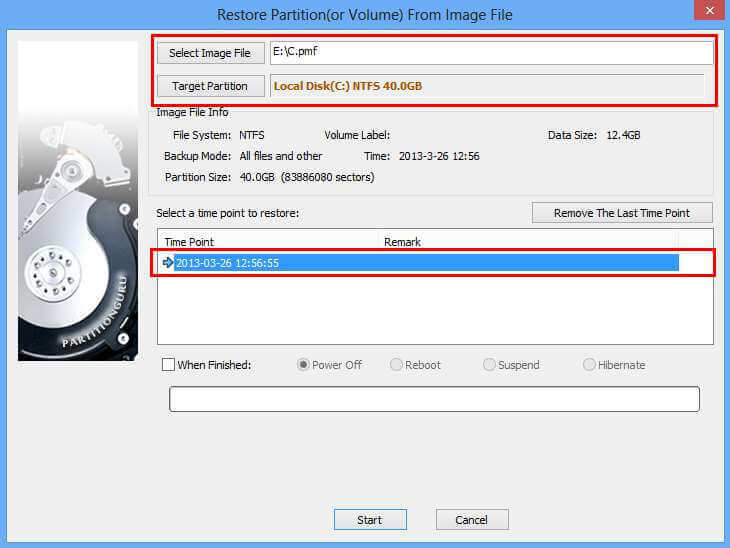 Click the button "Select Image File" to select the backup file and click the button "Target Partition" to select the partition you want to restore; there might be several time points, and a time point should be selected before you click the button "Start". Wait a while and it'll reboot to Windows after the restore is completed.